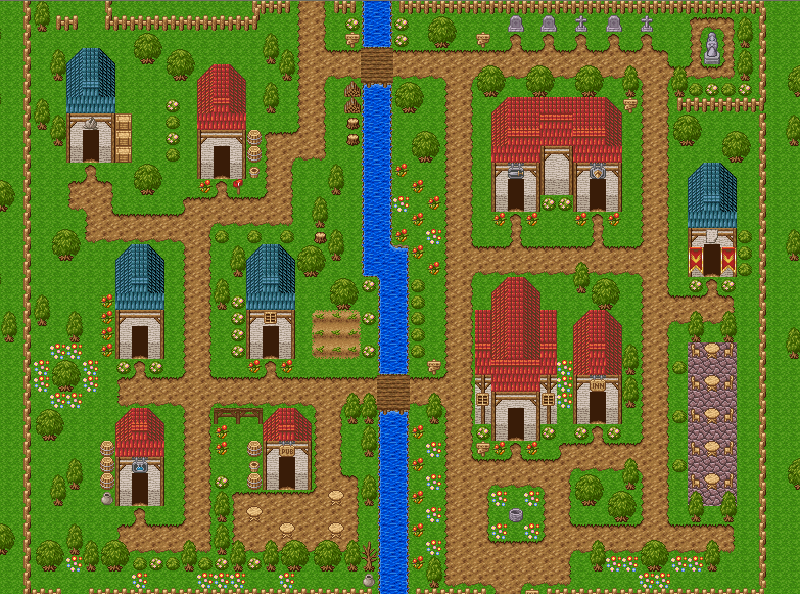 RPGMaker, one of the best examples of a tool used to learn how to make your own game, long before all of these high tech engines like unity, blender and many more but is it still relevant? When today you can get a free engine and tool to start making games right away why should we bother with a paid tool that out of the box which seems restrictive and finicky? Well my friends that is what we are going to discuss here today. So let's start with a little history lesson, Originally created by a company called ASCII it was later bought out by Enterbrain, The very first "RPGMaker" was actually called "Mamirin" and was only available on the PC-8801 which was a "Zilog Z80-based home computer released by Nippon Electric Company (NEC) in 1981 in Japan" Mamirin was released in 1988 and marked the way for the RPGMaker franchise! After Mamirin came over 32 other games! I won't bore you by detailing all of them so let's skip a bit ahead to the name we recognise, mainly those actually titled as RPGMaker, the very first RPGMaker (as in the title saying that) was on the PS1 but like I said before I haven't played the console versions sadly so I can't say much about it other than it was a hit as they kept producing English versions of RPGMaker after this one and nobody is ever selling a copy! 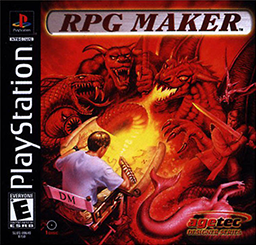 After the playstation version there came the GB version and then RPGMaker 2000, a PC RPGMaker game which is very similar to that which we use today. 2000 brought better graphics to the table which trumped games like Pokemon Crystal that came out the same year, it also had a more user friendly interface but being self taught was still a big task and back then there was no YouTube, so you couldn't just look up a how to video. After RPGMaker 2000 came the 2003 edition which did little more then improve the graphics further and make the user interface a little more user friendly, this was the version my school used to teach us about. Actually i have no idea what they were trying to teach but they used RPGMaker 2003 to teach it to us, I can't talk much about how easy it is for someone to pick up and play as i was actually shown by a teacher how to do just about everything but it did seem straight forward as most options were laid out clear as day; "Show text" allowed you to show text on screen, "Show picture" showed a picture of your choice on screen, "Set move route" allowed you to set a route for a character to walk on... Pretty self explanatory. Then RPGMaker XP arrived on the scene in 2005 (2004 in japan) and focused more on big set pieces and amazing looking environments, with massive pre-made buildings and natural scenery (a huge tree or really big rock) but some thought this took away from the gameplay and creativity since that meant there was less tiles to use for grass, stone, ice, etc etc though it was still a big hit with the fans and it was indeed very beautiful. Next there was RPGMaker VX, now around this time I had moved on to other game engines but I couldn't help but get the latest RPGMaker whenever they came out as my love for the series was still strong... though VX almost killed it for me. 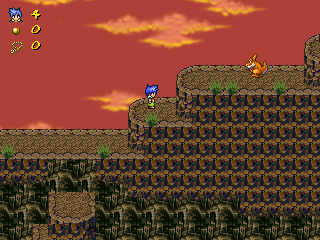 The engine was released in 2008 and changed a lot of the visuals, including the overall size of things as XP had a lot of huge set pieces and tall characters VX decided to go in the opposite direction making everything smaller, perhaps going back to the older style of RPG's like the original FF's and Pokemon that basically had a block with arms and legs. Sadly with the updated graphics it looked odd, even downright ugly at times though the scenery did get a major revamp as they included a lot of new tiles with so much more variation as opposed to XP, I couldn't bring myself to do much with VX. RPGMaker VX got a second version in 2012 called RPGMaker VX Ace, the update seemed minimal at the time though looking back there were some nice changes including: A character generator so you can make your own custom character for the game, the choices were limited but it was nice to have for those who couldn't create custom art for their game, it also added character abilities in battle like having a modifier that when active gave the party extra Exp or extra Gold when they win a battle as well as many others. Another nice improvement was the music and sound effects, Ace had a much larger library of music and sound effects all of which were incredible. I used them to add walking sounds over the different types of floors ranging from wood to stone and metal, very useful tools for those who wanted more from their games than the basic options allowed for... Though some of these advanced options were indeed available in XP and some even in older instalments, I say this so nobody jumps down my throat for forgetting to mention this ;). That's it for the PC releases, sure enough there will most likely be another version in the next couple of years, though I'm not sure what else they could really add to the top down RPG genre, maybe it will just look even prettier or maybe they will fix all the ugly characters! Now to list all of the RPGMaker games including PC and Consoles just so you know how many there really are. Simulation RPG Tsukūru 95 Value! And that's all of them! by the way "Tsukūru" means maker in case you were wondering... well technically i think it translates to "creator" or "to create" but it's close enough. SO! 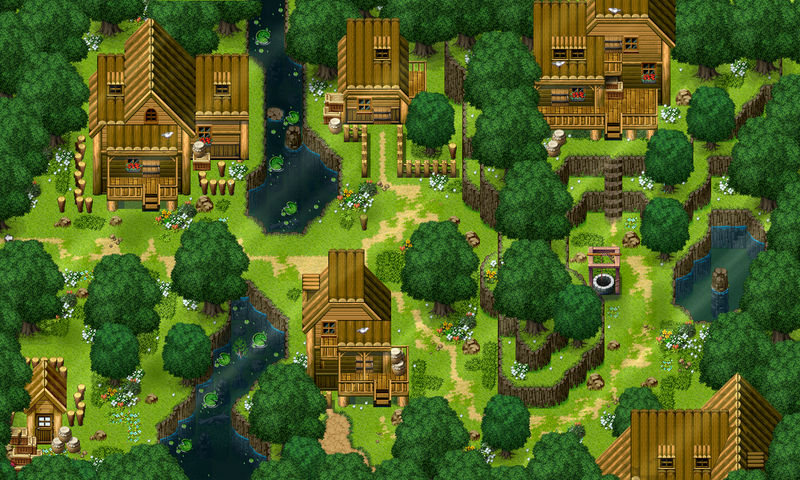 Is RPGMaker still relevant in this day and age? well that's a bit of a loaded question, while yes there are a lot of free game engines out there most of them are horrible for new developers and explain nothing to those who want to get into the art of making games. As well as most not having a very big library of pre-made content like character models and levels to help ease you into it, you have to get models on your own or even create them which can be a real daunting task for a beginner. I remember when i first ran into that wall, I ended up taking a college course in games development just so i could learn how to 3d model and put those models into the engine, though I doubt most people could do that. 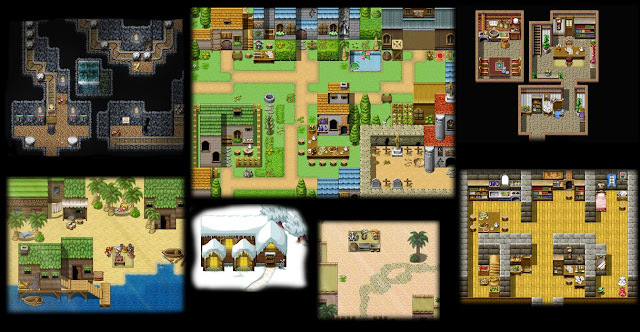 RPGMaker, no matter which one you chose to start with is a great way for people to get into games development without needing any prior knowledge of development, they learn naturally over time what everything means and can even learn how to code! 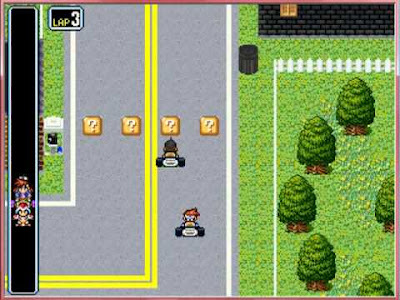 i know a few people who even made completely different games on the RPGMaker engines including racing games, platformers, 3D real time RPG's and more! 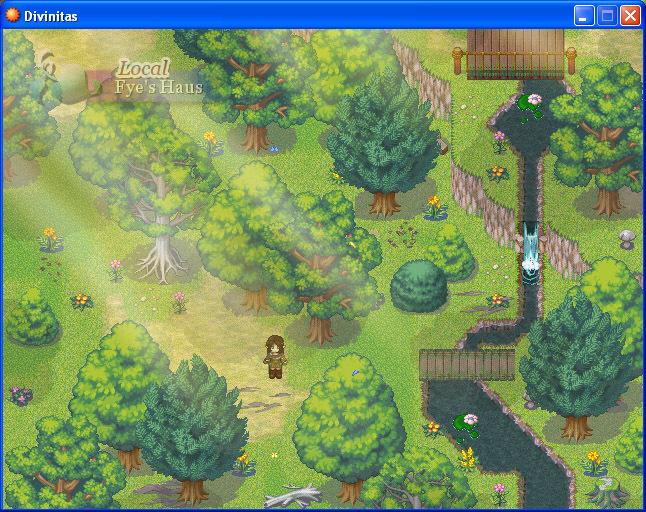 so I would say yes RPGMaker still holds up in today's market as a great beginners tool.